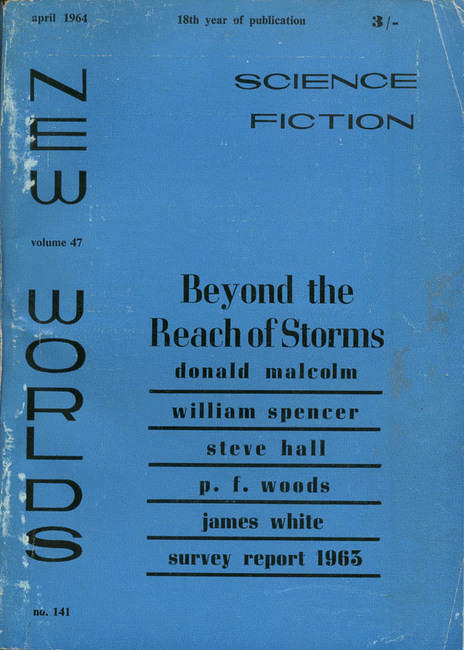 The first installment in my Guest Post Series on The Science Fiction of Michael Bishop was written by Jesse over at the remarkable SF review site Speculiction… Not only is he incredibly prolific (and has a large back catalog of reviews to browse) but his reviews are also a joy to read. If you are interested in both classic and contemporary SF, and the occasional post on Chinese poetry, make sure to check out his site. Jesse has previously posted on his site about Bishop’s “The Samurai in the Willows” (1976) and “Cri de Coeur” (1994). Both reviews are worth reading. 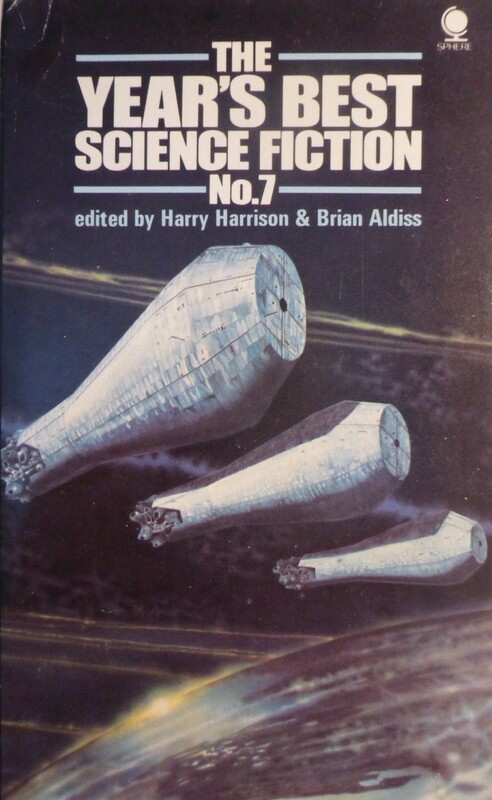 “Death and Designation Among the Asadi” (1973) is one of Michael Bishop’s more well known novellas that was nominated for both the Hugo and Nebula in 1974. 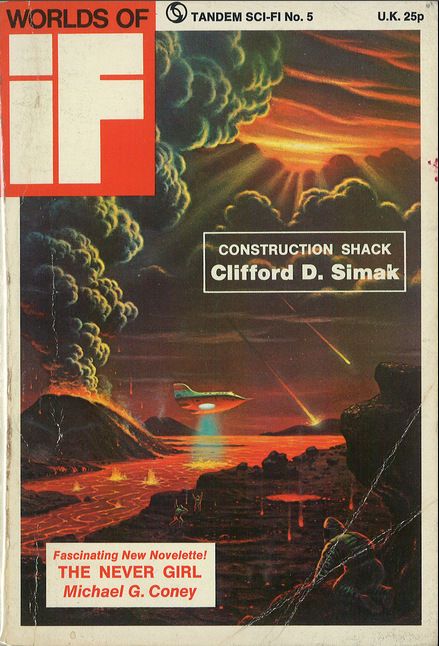 It was first published in the magazine Worlds of If January-February 1973, ed. Ejler Jakobsson. 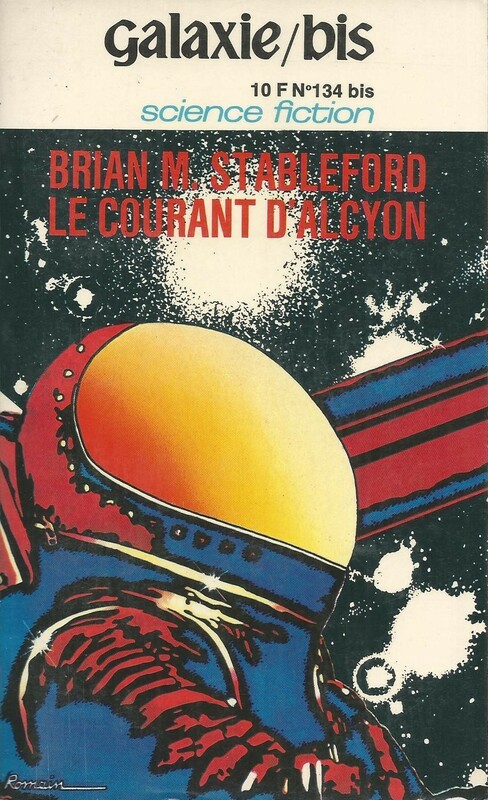 If you are interested in finding a copy the story can be found in multiple later collections and forms the first part of his novel Transfigurations (1979) [listing here]. The alien is perhaps the most recognized, if not the most used trope of science fiction. World invaders (H.G. 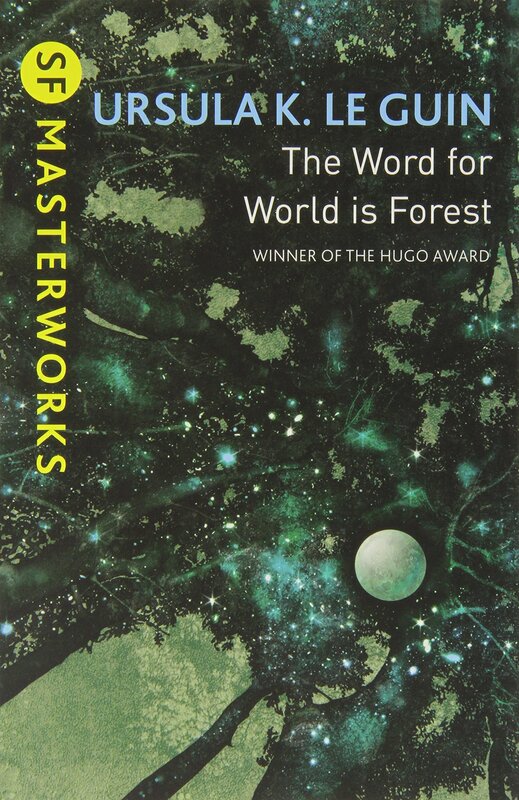 Wells’ The War of the Worlds), ethereal entities incomprehensible to humanity (Stanislaw Lem’s Solaris), mirrors to humanity (Ursula Le Guin’s The Word for World is Forest), cultural commentary on the Other (C.J. Cherryh’s Foreigner series), woman stealers (the cover of many a pulp magazine from the ‘30s), pinnacles of civilization (the Vulcan), and playgrounds for the imagination (any number of space operas would serve here), the extra-terrestrial has existed almost since the beginning of the genre, and in the time since has been portrayed in thousands of differing ways. (To be honest, I would be curious what percentage of sci-fi has an alien of one sort or another present. 50%? More? Less?) 1973’s Death and Designation among the Asadi (1973) presents a Michael Bishop perspective of extra-terrestrials. Though achieving a degree of viscerally alien only the most imaginative and insightful writers can hope for, the trope is utilized to express existential and cultural concerns of human proportion. Death and Designation among the Asadi is the personal journals, research notes, and in situ voice recordings of the xenologist Egan Chaney, as compiled and presented by long time anthropologist and friend Thomas Benedict. Chaney an eccentric personality, he has taken the mantle upon himself to live amongst the Asadi of BoskVeld in the hopes of furthering the knowledge gained by a predecessor. 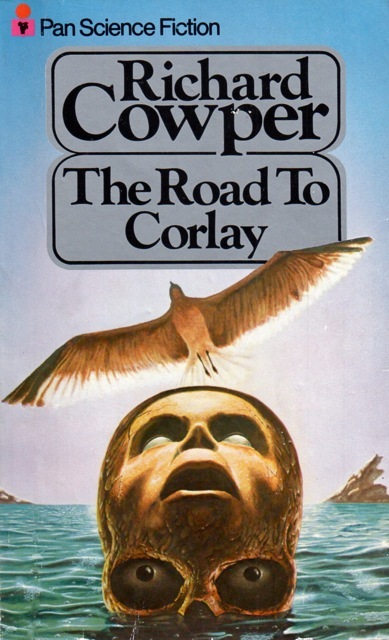 The Asadi maned like male lions, Chaney thinks it best to enter the community with a shaved head thus to be viewed as a pariah, ignored by the mute, gray-skinned aliens. The plan initially going off well, for months he is able to sit unmolested in their midst, making observations and drawing conclusions from their social behavior. But not all is readily ascertainable. An elderly Asadi appearing from the jungle with a winged homunculus perched on his shoulder one day, a mystery presents itself that begs resolution. Trouble is, the learning process might be more than Chaney is capable of handling. One of the most realistically realized alien species in literature, the Asadi come vividly to life under Bishop’s facile pen. A stylist aware of every letter, Chaney’s observations of Asadi behavior are unpacked one intriguing element at a time, the full weight—or as it were, mystery—of each given time to seep in before a new layer is exposed. The impact at maximum, the reader is able to fully visualize Chaney’s experiences, the underlying uncertainty of the Asadi’s behavior palpable. 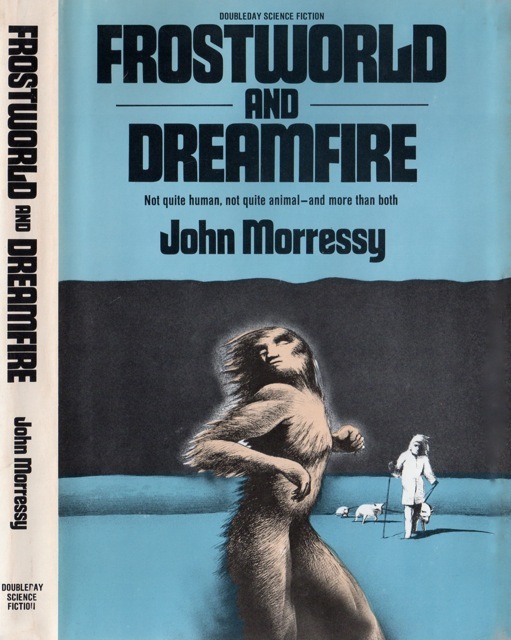 With the inclusion of the homunculus, not to mention a couple of other alien elements, the species become wholly separate from human affairs in setting, and yet, given peculiar physical similarities, perfectly capable of commenting upon them in primeval fashion. Along with the life/death relationship Bishop, Death and Designation among the Asadi also delves into at least two more significant themes. Isolation, socially and culturally, is one. Though residing amongst a seemingly chaotic alien group, Chaney remains external, strong feelings of alienation the result. Among the Asadi is a young male who Chaney comes to call the Bachelor. Observing Chaney for as much as Chaney observes him, circumstances beyond the xenologists’ understanding contrive to isolate the Bachelor from his species, in turn relegating both of them to pariah status. Though unable to communicate, the Bachelor thereafter becomes a significant parallel and juxtaposition to Chaney. So affected by the unspoken relationship, in fact, Chaney’s decisions late in the story hinge upon it, his course of action rash from most perspectives but logical within the limits of the story. Wrapped around isolation is Mircea Eliade’s concept of the Eternal Return. Structure-wise, the first two-thirds of story peel back layer after layer of Asadi culture until a complete cycle is described. 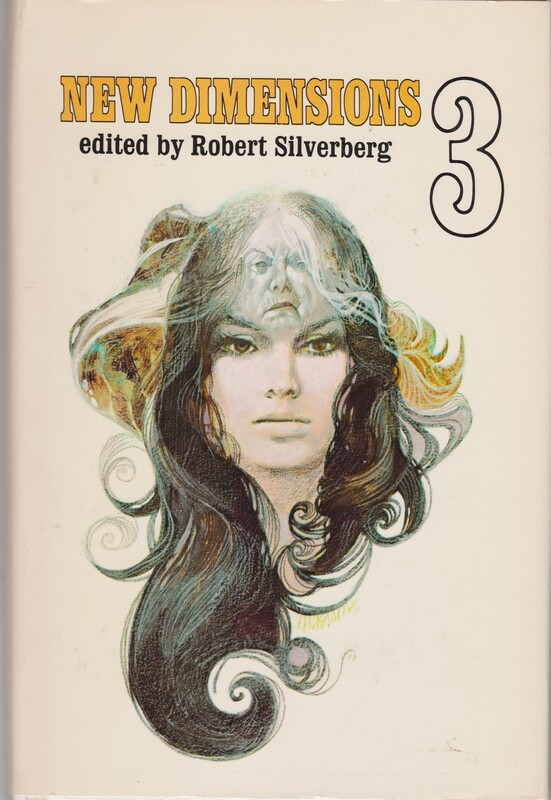 The last third, however, begins a new cycle, one which answers some of Chaney (and the reader’s) most maddening questions, while simultaneously invoking a cycle of greater—and more mysterious—import. The last page most certainly a return, Bishop encapsulates Eliade’s ideas perfectly in story, as well as at multiple levels within Asadi culture. In the end, Death and Designation among the Asadi is as realistic a look at a truly alien group as is possible in literature. The basic premise of the story (Asadi culture) detailed yet simple, Bishop relates an experience among an extra-terrestrial culture that operates at numerous levels. From the personal confrontation of life and death to isolation—both cultural and societal, Bishop rounds off his wonderful creation by intertwining the concept of the Eternal Return at differing scales. (Such a solid foundation of ideas, in fact, Bishop was able to expand the story to novel length, Transfigurations, published six years later, the result.) Written with purpose from the first word onwards, the novella remains a fine balance of all things literary, and given the vivid evocativeness with which the Asadi are portrayed, it’s impossible for them not to leave an impression. Jesse, thanks for the great review! “But not all is readily ascertainable.” — > this phrase is a motto of Bishop’s work. In this work the main character thinks he is on to something when he first enters the community and seems to be able to take notes etc. The same thing sort of happens in Stolen Faces (1977), although they are not aliens the settlers on the planet have so transformed since settlement they are distinctly “alien.” Only after a time can the main character understand how much they have changed and thus, how much he really needs to understand. Yes, this “crisis of knowing” is one of many prevalent SF themes, but Bishop crafts it so poignantly. And thank you for asking me to write a piece. I have not even read half of Bishop’s back catalog, but what I have read is unique, edgy, and layered. I’m looking forward to the other reviews you’ve collected, and yes, seeing Bishop’s body of work get more attention. It’s deserved. Was “Death and Designation” your favorite of his so far? The other two reviews on your site are slightly more luke warm (although still positive). Certainly. But I’m more than eager to read Transfigurations, as well as the remainder of Bishop’s backlog to see what else he’s written. Jesse, if you can get your hands on a copy of Transfigurations you’re welcome to write about it. I only “claimed” it because no one else did. I’m eager to read it because I can’t wait to learn more about the Asadi! I wonder if it would have been better to have read the earlier,shorter piece that “Transfigurations was based on.I recently read the novel,but was dissapointed,as it was too long I thought,with much of it padded-out it seems,with the actual story undervisualised and written in a dry,acidy prose.It wasn’t too bad really,but could have been a lot better and shorter. 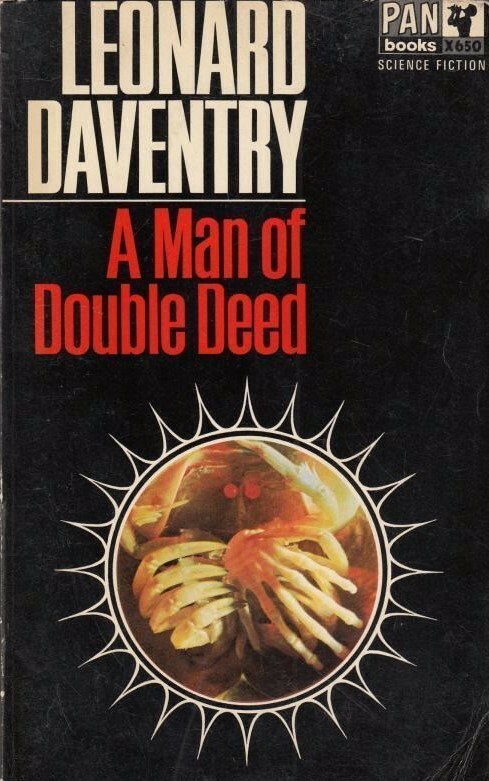 I don’t think I’m going to read “No Enemy but Time” from what I’ve read about it and the reviews,and is an even longer book at nearly 400 pages.It was chosen for David Pringle’s “Science Fiction The 100 Best Novels”,as were some others I didn’t like. 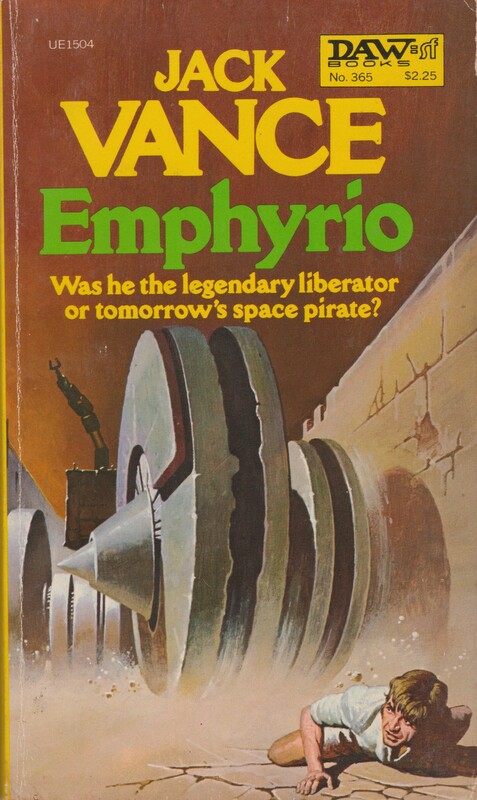 Could anybody recommend the next best book to read by Mike Bishop? Stolen Faces (1977), A Funeral For the Eyes of Fire (1975)…. Those are my two recommendations. I wrote reviews for both. I see ok I’ll look out…..you’re not so keen on “No Enemy but Time” then? I have not read it. I picked up a copy yesterday though! I’ll wait for your comments then.I’ll make my choice of those 2 Mike Bishop books. “Stolen Faces is best then,being the shortest. 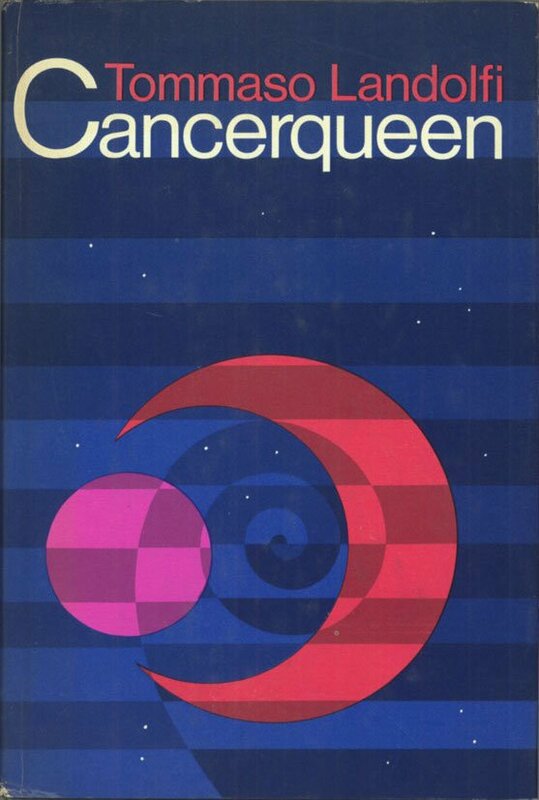 Pingback: A Trippy Book Found in a Thrift Store – Hiii-Lit. Just read the novella and it´s pretty good. I would consider reading the novel. Feel free to check out my FB page. 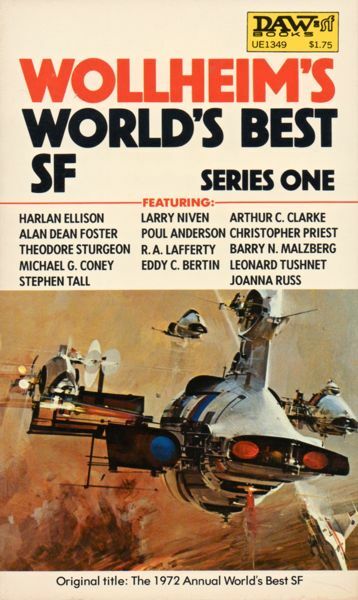 It is mostly geared towards older SF works! Thanks for the comment. It’s a great story! Far better than the novel — here’s the link to my review.